Why shouldn't PM Narendra Modi get credit for the Balakot strike if Indira Gandhi can get credit for dividing Pakistan,?" Rajnath Singh asked the thousands of attendees at the rally. 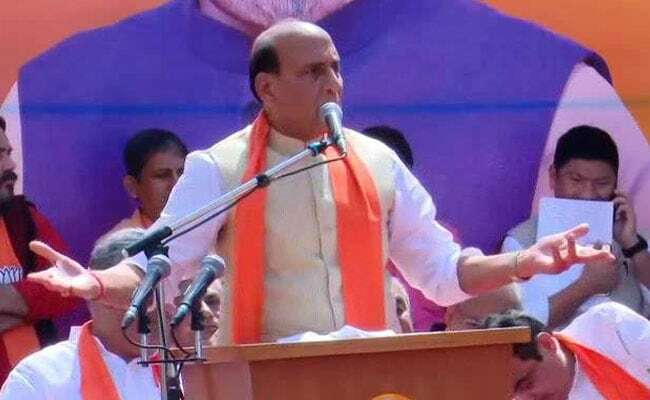 At an election rally in Gujarat to mark the day when Amit Shah takes over from LK Advani to contest the 2019 Lok Sabha election from Gandhinagar, Union Home Minister Rajnath Singh asked the crowd why PM Modi should not get credit for the decision to carry out air strikes in Pakistan's Balakot, which destroyed a Jaish-e-Mohammed terror camp. Mr Singh spoke of the air strike, comparing PM Modi's achievement to that of former prime minister Indira Gandhi, under whose leadership India defeated Pakistan in the 1971 war, a result of which was the fact that Bangladesh was created. "If Indira Gandhi can get credit for dividing Pakistan, why shouldn't PM Narendra Modi get credit for the Balakot strike?" Mr Singh asked the thousands of attendees at the rally. While acknowledging Indira Gandhi's decision during the 1971 war, Mr Singh credited the soldiers and armed forces personnel, saying: "It was the bravery of our armed forces that they divided Pakistan into two parts. One remained Pakistan, while Bangaldesh was formed (out of the other)." He reminded everyone of how "After the war, our leader AB Vajpayee praised Indira Gandhi in Parliament." He went on to say how "She (Indira Gandhi) was also praised all over the country (for her decision)." 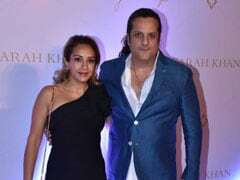 He then said that the opposition Congress hadn't shown that spirit for when PM Modi gave the armed forces the go-ahead to carry out the "pre-emptive, non military" strike in Pakistan's Balakot. Referring to the Pulwama terror attack which the Jaish-e-Mohammed took full responsibility for, Rajnath Singh said, "When over 40 of our CRPF soldiers lost their lives in a suicide terror attack, Modiji gave a free hand to our forces." "Should he not be given credit for that?" he questioned. The rally at Gandhinagar, which was also seen as a show of strength of the BJP-led NDA, was organised because Amit Shah takes over from LK Advani to contest from the constituency by filing his nomination papers today. Mr Advani, a veteran leader of the Bharatiya Janata Party, was a member of parliament from Gandhinagar for over 25 years. Atal Bihari Vajpayee too, contested and represented Gandhinagar for a brief time.